Farmyard friends is the perfect soft baby book for your child to start learning animals. 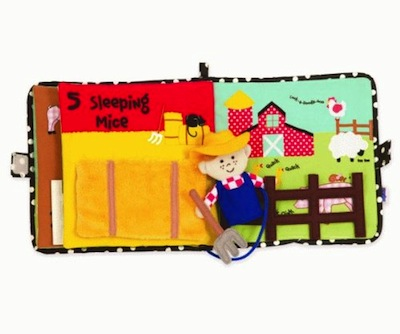 The farmer is attached to the book by a string and he can visit every page of his farm! Each spread assists with counting skills as well.